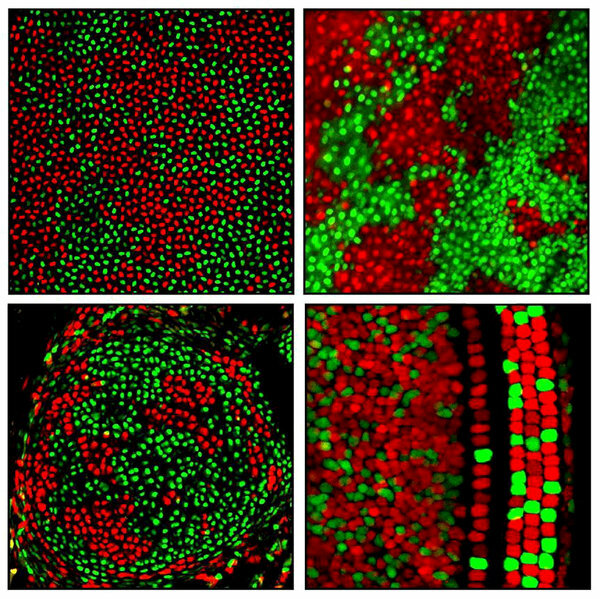 In recent years, scientists have increasingly appreciated that our cells can vary genetically — a phenomenon called mosaicism. And X-chromosome inactivation, Dr. Nathans’s pictures show, creates a genetic diversity that’s particularly dramatic. Two cells side by side may be using different versions of many different genes. “But there is also much larger-scale diversity,” Dr. Nathans said. In some brains, for example, a mother’s X chromosome was seen dominating the left side, while the father’s dominated the right. Entire organs can be skewed toward one parent. Dr. Nathans and his colleagues found that in some mice, one eye was dominated by the father and the other by the mother. The diversity even extended to the entire mouse. In some animals, almost all the X chromosomes from one parent were shut; in others, the opposite was true. Dr. Nathans hopes his colored maps can serve as an atlas for the effects of X-chromosome inactivation on women’s bodies. Because each X chromosome carries different variants of the same genes, father-dominated tissues may behave differently from mother-dominated ones. How one cell ends up silencing its mother’s or father’s X chromosome is still not entirely clear. Scientists are just starting to decipher some of the key steps in the process. “The knowledge of this is exploding,” said Dr. Jeannie T. Lee, a Howard Hughes Medical Institute investigator at Harvard Medical School. Scientists don’t know how a cell chooses one chromosome or another to silence. But they’ve identified a number of the molecules that do the silencing. The leader of this molecular team is known as Xist. Ever since it was discovered in the 1990s, scientists have debated how Xist managed to shut down an entire chromosome. Some researchers suggested that one Xist molecule landed on one spot on the X chromosome and then others attached to it, spreading along its length. But recent studies by Dr. Lee and colleagues show that Xist molecules envelop the X chromosome like a swarm of bees. “It’s going to all the genes all at once,” she said. Once Xist latches on, it lures other types of molecules. Together they enshroud the X chromosome. When a cell divides, new copies of the molecules silence the same chromosome in its descendants. Why women’s cells should bother with such an elaborate dance has also intrigued scientists. While scientists have proposed a number of explanations ever since X-chromosome inactivation was discovered, Gabriel A.B. Marais, an evolutionary biologist at the University of Lyons in France, said that none fit the current evidence very well. “The situation is very confusing,” he confessed. It’s possible, for example, that males have to increase the production of proteins from their X chromosome because they have only one copy of its genes. But this creates a quandary for females, because they may overdose themselves. They shut down one of the hyperactive X chromosomes to regain a balance of their own. Females might have evolved to choose randomly between their parents’ chromosomes because it gave them more genetic versatility. Sometimes a gene on one X chromosome is defective. Cells that use the healthy copy of the X chromosome can compensate. Males, by contrast, are far more prone to genetic disorders linked to the X chromosome, such as color blindness. With only one X chromosome in their cells, they have no backup. Dr. Nathans speculates that using chromosomes from both parents is especially useful in the nervous system. It could create more ways to process information. “Diversity in the brain is the name of the game,” he said. But the X chromosome may also pose a risk to women. Dr. Lee and her colleagues have found that when they shut down Xist in female mice, the animals were more likely to develop cancer. She suspects that when a cell stops making Xist, its inactivated X chromosome wakes up. 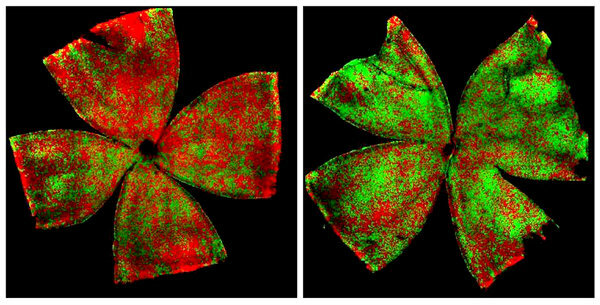 The extra proteins it makes can drive a cell to grow uncontrollably. “That has bearing on stem cell therapy,” she added. When stem cells are reared in the lab, they sometimes stop making Xist as well. Dr. Lee is concerned that female stem cells may rouse sleeping X chromosomes, with devastating consequences. Before stem cells can be safely used in medical treatments, we may finally need to solve the mystery that Henking originally labeled with an X.